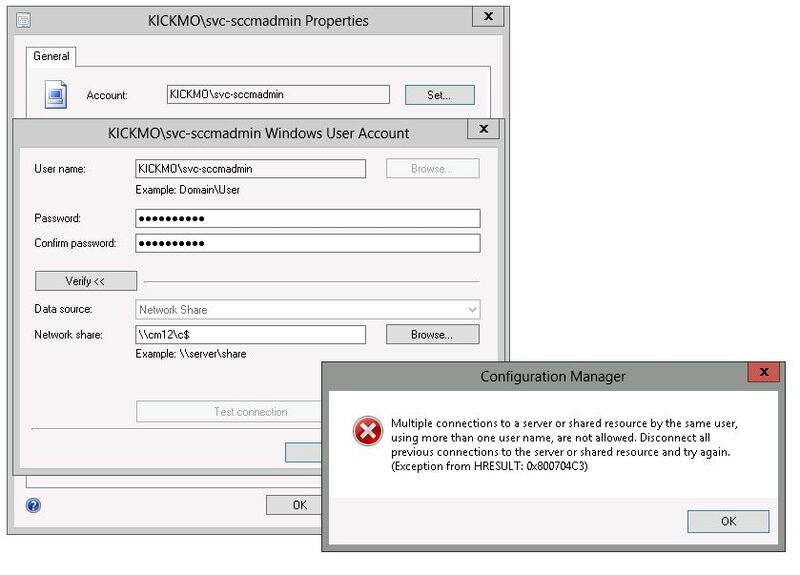 When performing a bare-metal image install in SCCM, occasionally an error will occur that will halt the initiation of a task sequence. Below are a few errors I have experienced, which I have compiled with my own [brief] explanation and what to do to fix it. This post will be updated as I come across new errors, explanations, alternate fixes, etc. Fix: Restart with boot CD or PXE. Fix: Change the port the Ethernet cable is connected on. Restart with boot CD or PXE. 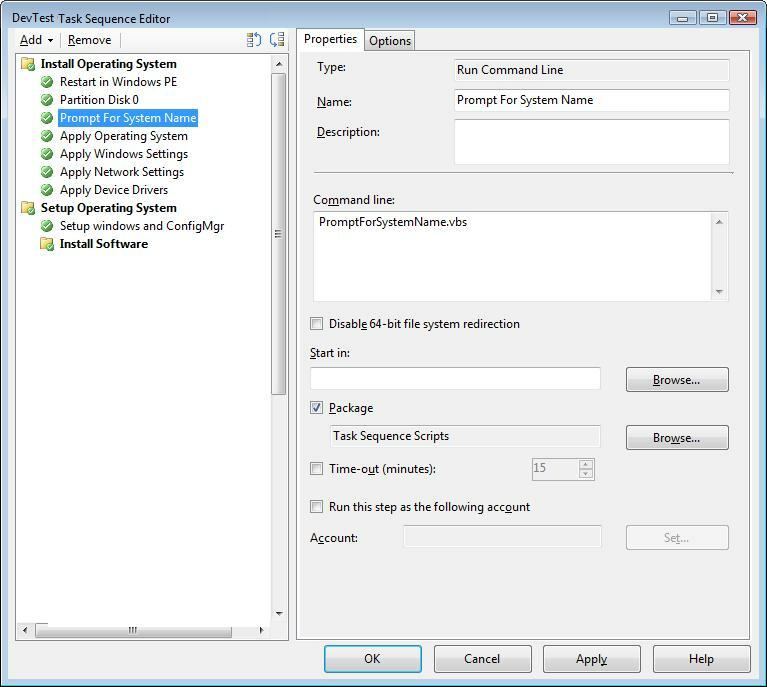 This entry was posted in ConfigMgr 07, Troubleshooting. 0x80070490 = also attributed to trying to use a WIM image that does not specify OS bit-depth support (32/64). a.k.a. – using wim image 1 of 2 instead of 2 of 2 as the OS image. HI, i get a task sequence error (0x80070643) when runing a program from a list of advertised programs. can u please assist.. I really hope they managed to solve this one for you, but I just ran across this one myself half way through a task seq. After chasing a bunch of spurious error codes, it turned out it wasn’t a task seq problem, but a specific package problem. I deleted the package from the DP (and then waited the obligatory half hour) then repushed it, and the error disappeared. I’ve never come across a corrupt package in SCCM 2007 before, but there you go. Problem solved. Great thank you for sharing the info! how about this error code – (0x800703F8). I took a look at the smsts.log for this client but couldn’t find anything related to that. Thank you Aravind for the comments. Unfortunately I do not know that error code to assist. I recommend posing your question in the Microsoft forums or in MyITForum for further troubleshooting assistance. We have also found that when we attempt to image a group of systems (20-40 at a time), a few systems will throw odd error codes. These will usually not re-occur if you simply wait a few minutes and restart the Imaging process on those systems. We attribute this to bandwidth issues or over load on the DP. Thanks Val for sharing the extra tips! Can anyone tell the solution for error 0x80220001? Doing a quick Internet search, there may be an error with your unattended.xml file used for the configuration. If you are using one, temporarily remove it from use in the deployment. Also, the tricky thing about using an unattended.xml file is that it must be in the root location of the package’s folder – and cannot be in a subfolder. So watch out for that.